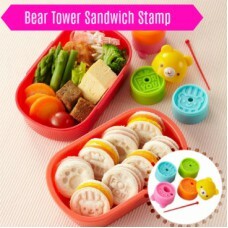 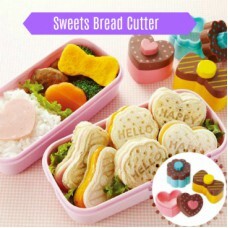 This set makes the cutest imprints on sausages :-)Includes Sausage Picks too..
4 Stamp Food Cutters:• Bear• For You• Cook• Bear Paw..
3 Sweet-themed Bread Cutter: • 1 Heart• 1 Ribbon• 1 Cookie..
Bring bears, squirrels, rabbits and lions to lunch, complete with fun faces :-)! 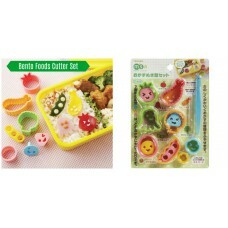 Includes tweezers a..
3 Sunny Day-themed Food Cutters. 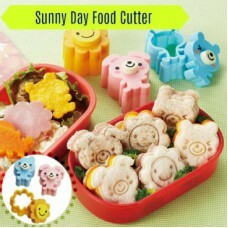 1 Rabbit 1 Bear 1 Flower ..
Includes 2 pusher sticks and the following 10 mini cutters:AppleStarCrabTulipCloudOne noteHeartYacht.. 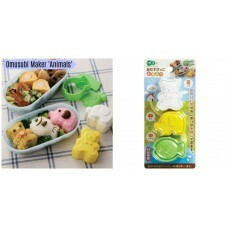 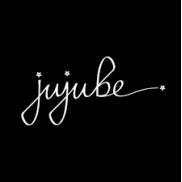 Shape rice easily with the Omusubi Makers!Bear: 59×48.5×35 mmElephant: 44.5×58.5×35 mmFish: 45.5×62×..
Rice Ball Maker (Panda) Rice Ball Maker (Heart) Rice Ball Maker (Flower) ..
4 rice ball makers shaped like a bear, a rabbit, an elephant and a chick.Size (mm):• Rabbit : 49×58×..
A Chick and Star Shaped Rice Shaper.. 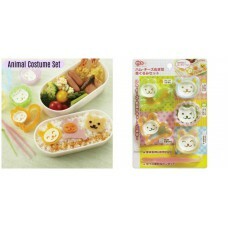 Cute set of 3 cats and 4 dogs for animal & bento art lovers!.. 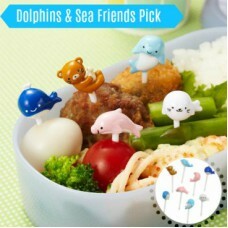 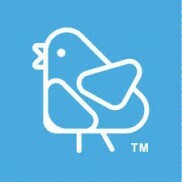 8 Dolphin & Friends Food Picks: • 2 Blue Dolphins• 2 Pick Dolphins• Whale• Penguin• Bear• White Seat.. 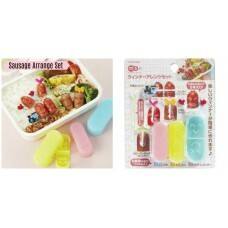 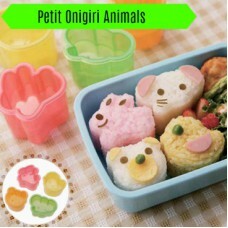 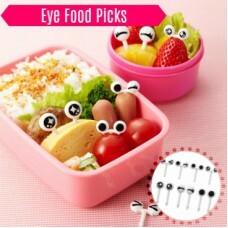 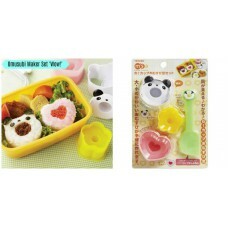 These cute eye food picks add character and personality to any bento box!• 4 Eye Pairs• 6 Single Eye..